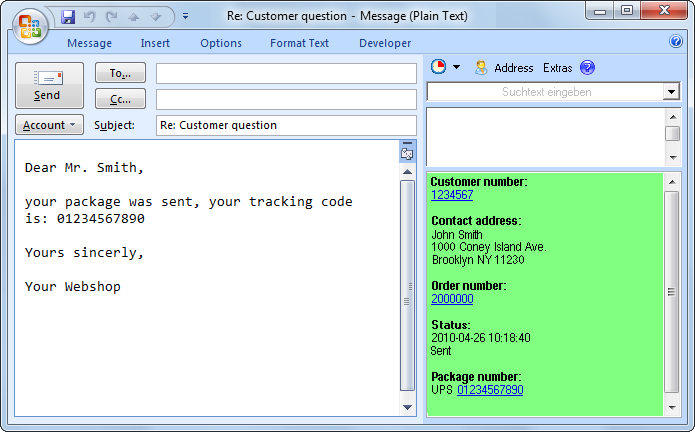 The last update of the year: The new version 4.08 of our Outlook text module software ReplyButler is available. It fixes several minor bugs with the name recognition / inserting and for the use of text modules. More information about the program can be found on the text modules product page. Today, we’re also releasing a the version 3.09 of 1-Click Duplicate Delete for Outlook. The new release brings an improved duplicate recognition in many special cases, like contacts with swapped first/last names. More info about the program can be found on the Outlook duplicates page. The new version 4.04 of our Outlook sync software is available. The update fixes a bug in the current Avira scanner. More information about the program can be found on the outlook sync page. (Or you can solve the problem by uninstalling Avira. Microsoft Security Essentials, for example, is free for private use. If you’re using the Avira anti-virus scanner, you might have seen error messages in our programs. They’re caused by a bug in Avira. Since Avira doesn’t release the bugfix this week (maybe next week? ), we’re publishing a work-around. You can simply download the Easy2Sync update from the program page. 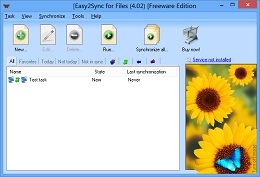 The new version 1.41 of Easy2Sync for Files is now available and brings several smaller bugfixes and improvements. For example it’s now possible to do an automatic sync every 30 days or at the 11th of each month. And Easy2Sync’s speed has been improved for very complex tasks. For more information about the program, please refer to the file sync homepage.